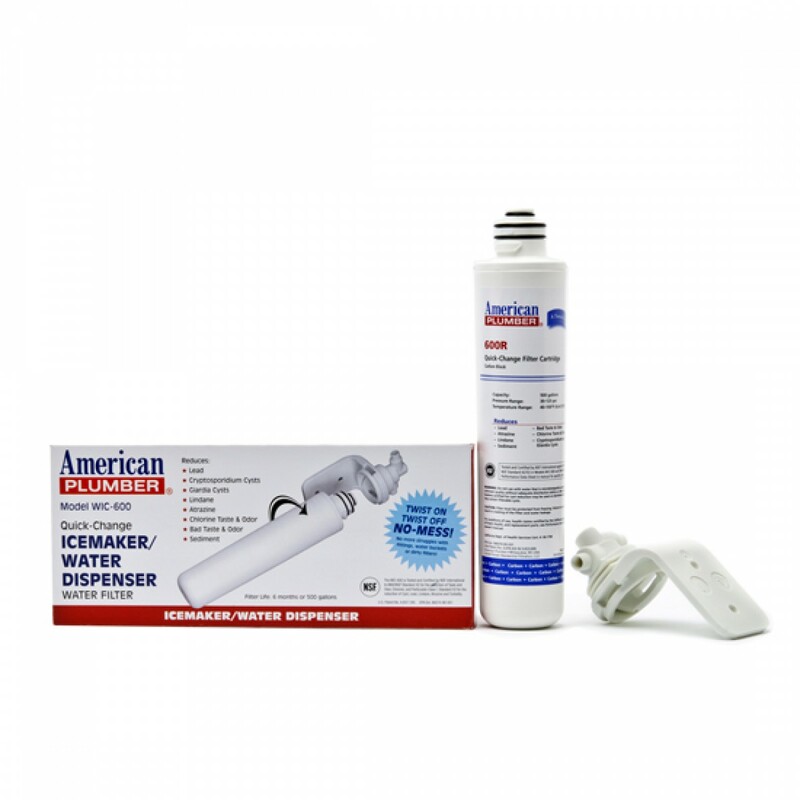 The American Plumber WIC-600 icemaker and water dispenser filter system reduces chlorine and other contaminants for cleaner and more refreshing drinking water. The WIC-600 System fits any 1/4-inch water line. The filter uses Activated Carbon Block to remove contaminants for up to 6 months. Quick-Change replacement filter offers a fast, easy, no-mess cartridge change. Improves the taste of drinking water, ice cubes and beverages. Granular activated carbon absorbs contaminants as water flows through the filter for cleaner and more refreshing drinking water. Tested and certified to meet NSF Standard 42 and NSF Standard 53 for water filtration. 2 year warranty.